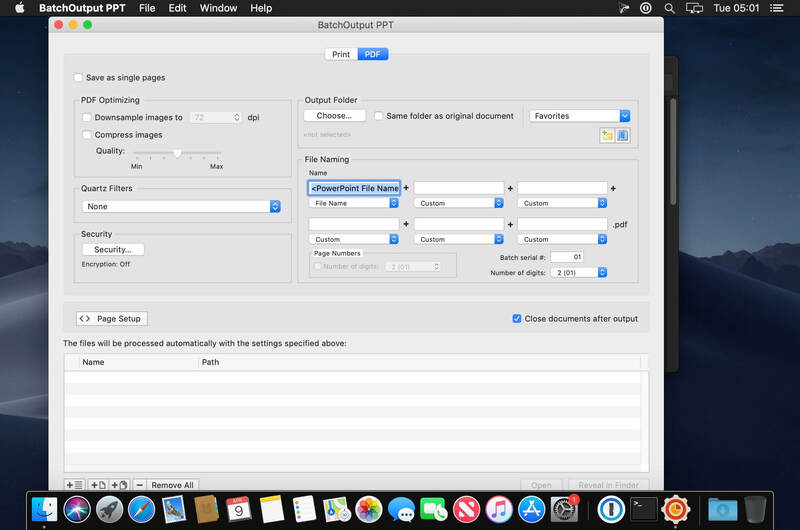 BatchOutput PPT automates printing and PDF production from Microsoft PowerPoint. 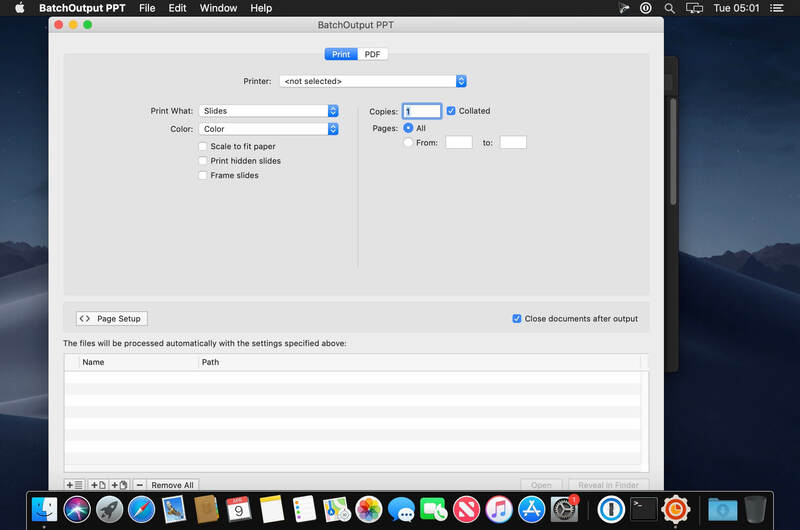 Just add PowerPoint files to the BatchOutput PPT list, adjust the settings, and BatchOutput will do the rest automatically. 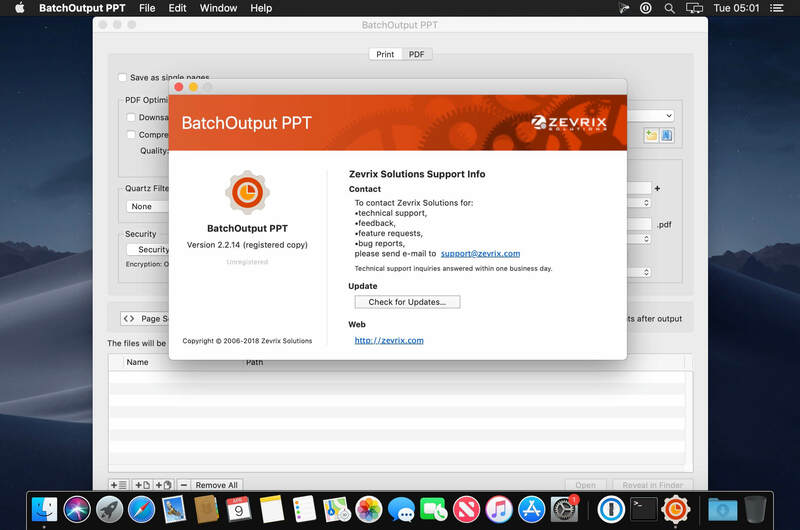 For example, you can print dozens of PowerPoint files with just a click of a button; or leave BatchOutput to work overnight and pick up the completed job next morning.